Plenty of on site parking in our private parking lot behind the restuarant. From 25 to 2500, we do full-service catering with bartenders, on-site grills, rentals and entertainment. Weddings, company events, and tail-gate parties are just the tip of the iceberg to what we do. Call us or visit our website for all the details. Our private banquet room seats up to 80 guests and is perfect for rehersal dinners, company lunches or dinners, birthday's, anniversaries, or any reason to gather with good food and good people. 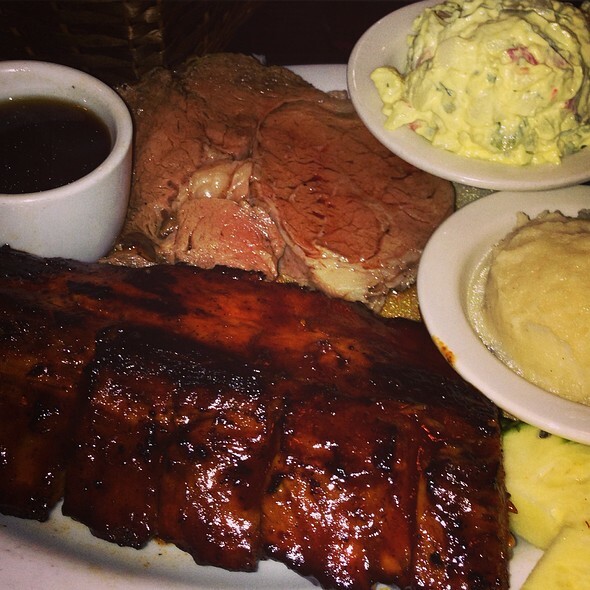 If it's delicious BBQ, in a dinner house that knows more than just great BBQ, Newport Rib Company is your place. Comfortable booths, a great bar with sports on the TV, and a staff so friendly you'll think that you’re part of the family...and you are. 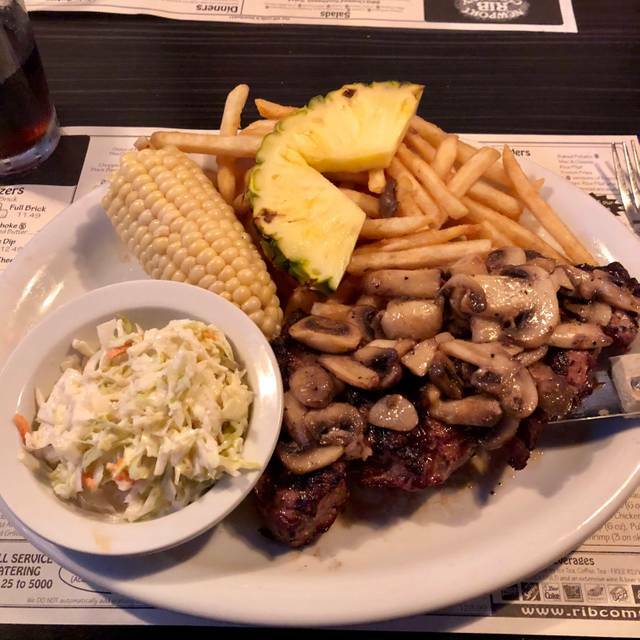 This local landmark has been serving BBQ’d specialties for over 30 years; slow roasted tri-tip, Prime rib, juicy steaks, stiff martini's and great salads all add up to a first-rate experience without the first-rate price. Come and find out why this family-owned business has become a MUST-have when visiting the Orange County area. 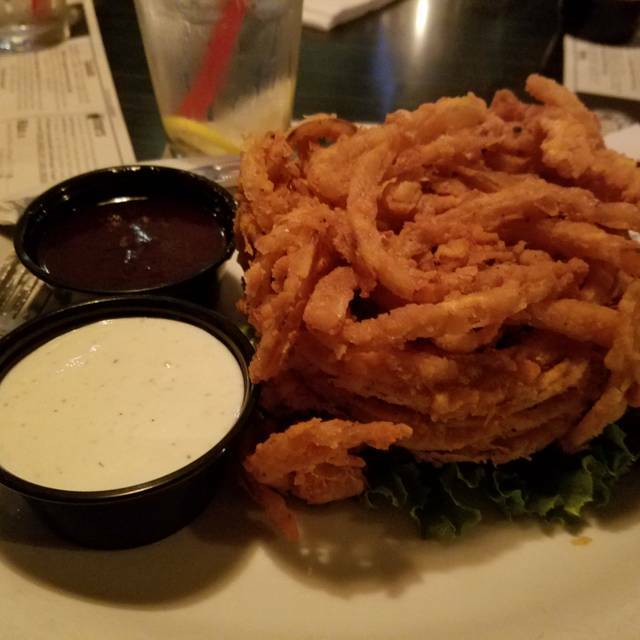 Try the onion brick or the grilled artichoke for appetizers, the BBQ’d chopped tri-tip or chicken salad is a health conscious favorite, but the meat is center stage at this one of a kind Costa Mesa institution. Take-out, catering from 25 to 2500 guests, a banquet room which seats 80, large comfortable booths, and an environment that caters to our guests no matter if regulars or soon to be’s. No age limit; served with one side order. We went to this place because I had purchased a Travelzoo coupon, $20 for $40 worth of food. Where to begin? The disappoint started with the location as it's in a pretty shabby looking area, which I didn't think possible for Newport (it's really Costa Mesa, btw), and there was a homeless guy hanging out in the parking lot by the back of the restaurant. The area just inside entrance is pretty nice but the back, where we were seated, was dirty, smelly, and had the feel of a Denny's. Despite that we still had high hopes because appearance isn't everything, but the crud all over the floor and the smell did concern me. Our server was quite lovely and upfront about what is good, i.e., she said to not get the brisket because they have a new supplier and it isn't good anymore. I ordered a combo plate with double ribs (to replace the brisket) and chicken and chose roasted veggies and coleslaw for my sides, and added a side salad. 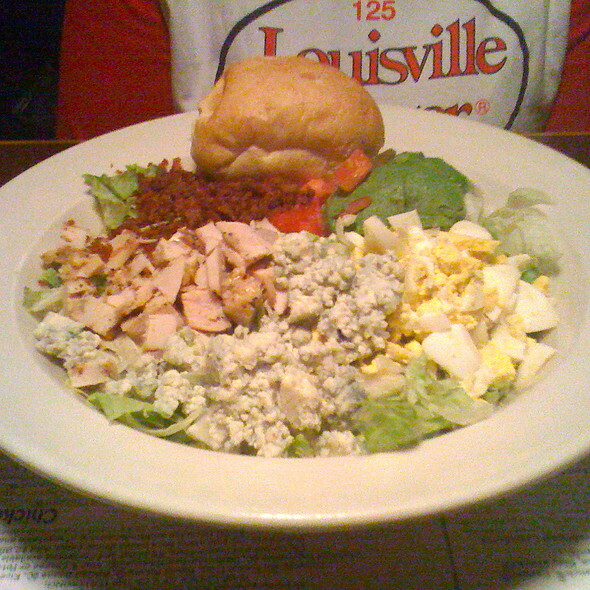 The salad was iceberg (who does that?! ), the veggies had the texture of being microwaved and were quite bland, and I never got the slaw. Each plate includes a little side of asparagus which was barely warm, super soggy, tough, and had some weird, cold butter stuff melted over it. My ribs were good, my chicken a bit under cooked. My husband got the tri-tip steak with a baked potato and something else I can't remember. The steak was very bland, not warm, and pretty tough. 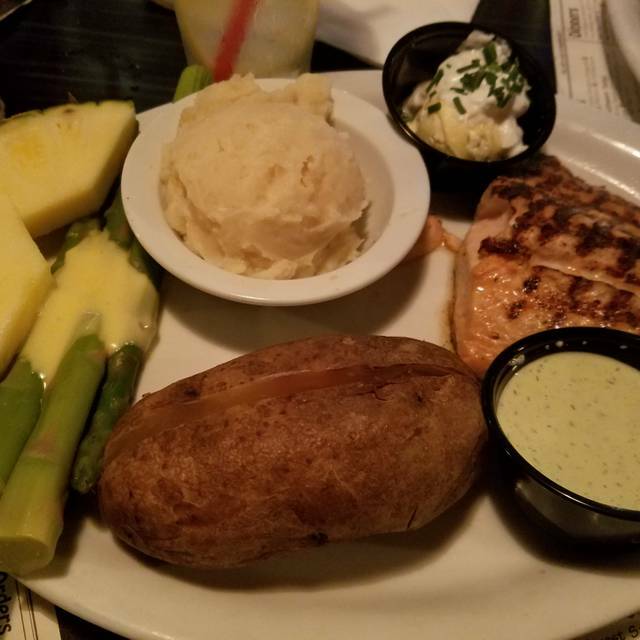 The potato looked shriveled on the outside and wasn't hot enough to melt the butter so he had to mash it in really well. They also serve cornbread and even that was not good because it was dry. I feel badly leaving such a negative review. However, it was apparent from the food, the condition of the physical building inside and out, and even how the toilets flushed (took three flushes to get the paper down for just, you know, the light stuff) that they're pinching pennies. It shows. I will definitely not return to this place or the Naples location. Excellent service, food and drinks! As always! Great ribs. Had the St Louis and the baby back. Both were good. Used a travelzoo coupon. The server was nice and attentive, the food was really good. The amount of gf options were amazing! Staff super knowledgeable and friendly. Server caught the croutons and cheese on my salad I didn’t even think about to ask to be removed. The Gluten free ribs and cornbread were amazing! Will return every-time in town!!! Owner on site, friendly, and very knowledgeable! Great ribs but the baked beans were cold. Special burger was average. Great service. The New Port Rib company is a wonderful place to eat. The food is delicious and has always been fresh and high quality. Many many choices. And for me a very important thing is they have lots of Gluten Free items, including corn bread and deserts. We live in Downey and my parents live in Mission Viejo and we like to meet there. It’s a good central location and it’s very nice. We love this place but Saturdays service was sub par. Our server was great and took our drink order and food order really quick. It was restaurant week. Drinks came quick but it took 45 minutes to get our appetizer. The server said food was coming up soon, they had a large party ahead of our order. That was about 25 minutes after we ordered. The couple next to us already got their appetizer and they sat down 15 minutes after us. When we did get the artichoke it was stone cold. Then not more than 3 minutes we got our dinners. The server said the order machine in the kitchen was down and a ton of orders just Printed. The group on the other side said it took 2 hours total from sitting down to leaving. Well be back but not during restaurant week. Fantastic food but sub par service. Went in for orange county restaurant week and one of the first things the server said was that she dreaded restaurant week. She was gone for long periods at a time and usually forgot to come back with whatever she went for in the first place. It was a frustrating experience as a diner. Our table had to share steak knives because there apparently weren't enough and some of our food came in cardboard cups. And some things that were supposed to be hot were cold and others that were supposed to be cold came warm. Bizarre and awkward. A manager looking person walked around to some tables and played with cards and seemed to just be wandering aimlessly. It was frustrating and not a dining experience I would like to repeat. Had not been in a while and was expecting the great food we were used to. It was mediocre this time around tri-tip was tough and overcooked on one end. Sides were good on good garlic mash are delicious. Food took a very long time and one side dish didn't come out until the meal was halfway finished. Great ribs. Also liked the chili. Good service. Our first time there and using open table. Got off to a rocky start as the hostess was rude. I didn’t make a reservation as there appeared to be lots of tables available on open table. The hostess said we’d have about an hour wait. I asked about making a reservation online and was told we couldn’t do that now. While waiting I went ahead and made that reservation for a table within 10 minutes. The hostess not happy when I informed her of my reservation but seated us. To my surprise there were plenty of open tables. Other than that the grilled artichoke was delicious and so were the baby back ribs. Our waitress Brittney made up for the hostess. Will definitely use open table in the future! Great food, great staff. Always has availability! Been spending our Valentines Day there for past few years!! Delicious food as always! They were awesome about accommodating my wife’s dietary needs. Great service from the waiter! Had a great time. They even took complimentary photos and gave them to us. Food and service was excellent. The only problem was the hostess put us at a table too small. My husband and I are not small people, but our server let us change tables. And the service was wonderful. Great place for comfort food. Everything was great! Good food and good prices! I always enjoy going to Newport Rib Company. There is a fun selection of cocktails, and the entree platters are generous with the servings. I had the three-item combo with sausage, short ribs and BBQ chicken breast. 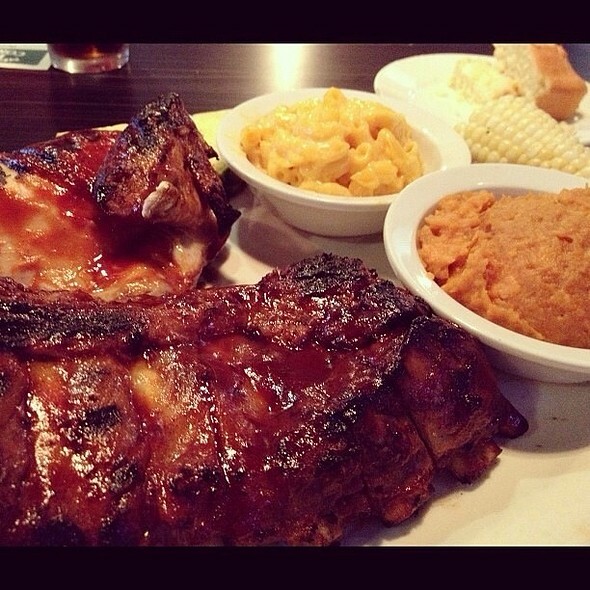 Plus there are tasty sides like corn on the cob and BBQ beans. Our server was friendly and attentive. We will of course return. Always great. Try the prime rib sliders during happy hour. Great food at a fair price for the quality and amount of food. Good service by very friendly people. Liked the ribs but half an onion loaf was too much for two. Went for Birthday dinner. Baby Back ribs were great, coleslaw good, cornbread warm and good. French fries cold when they arrived with my dinner. Kyndra is an OUTSTANDING server!! She really took care of us on a busy New Year's Eve! Beef ribs was nice and hot but lack flavor. 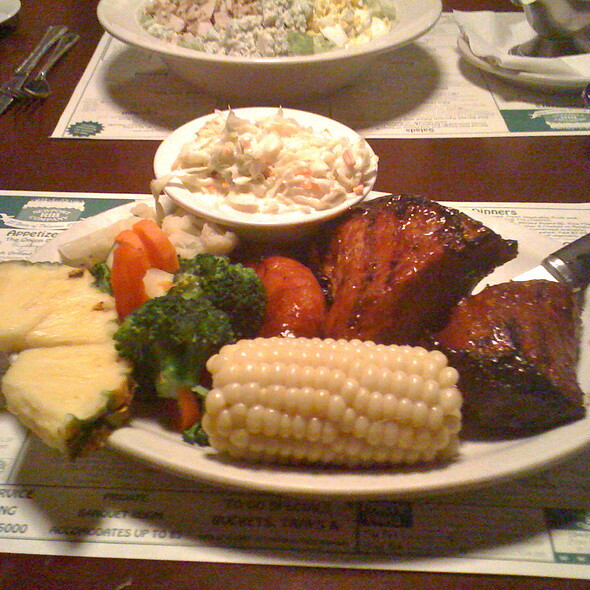 Baby back ribs & Luau baby back ribs were not tender at all. No flavor except the BBQ sauce. 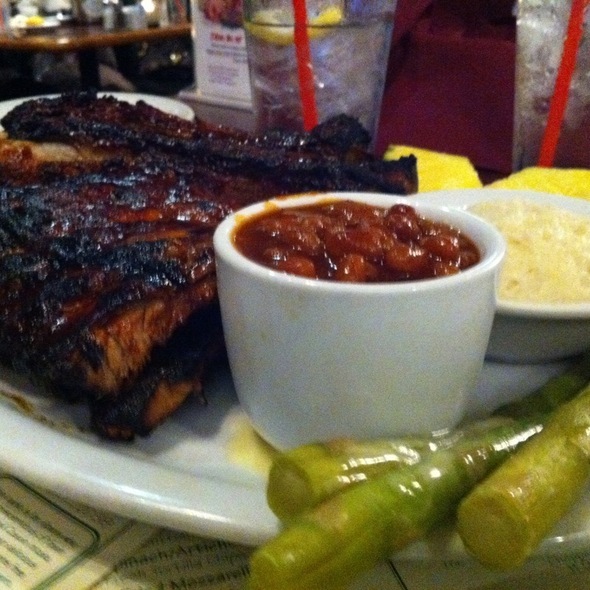 I go to Newport Rib Co for the baby back ribs which are always tasty with a mild BBQ sauce. Soon after being seated, small cornbread loaves and butter arrived at our table. Service was attentive, with frequent water and soft drink refills. The baked beans side was tiny, a circular ceramic maybe an inch or inch and a half across and the same amount deep. A complimentary dessert for my birthday and a serenade was appreciated. They have a large private back room for groups. Overall I had a very fun birthday there. Excellent ribs !!! Very enjoyable experience. 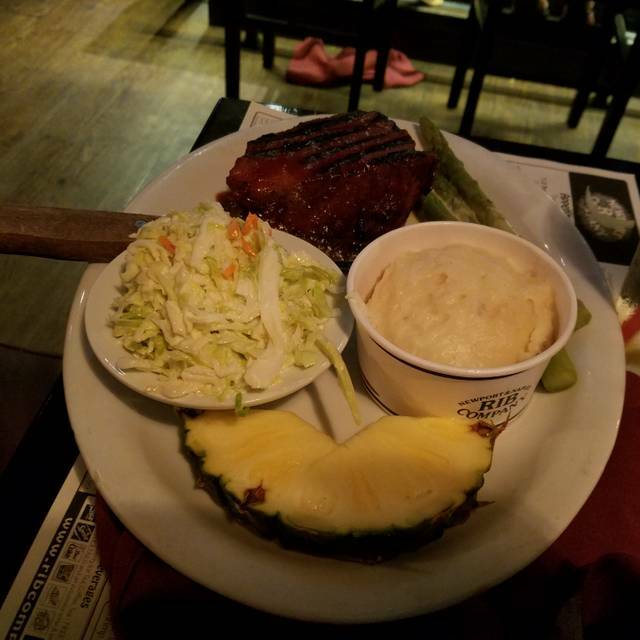 We traveled from Chicago to Newport Beach for vacation and discovered the Newport Rib Company. We will come back on our next visit.